Located in Kioicho, one of Tokyo’s most exclusive enclaves, Tokyo Garden Terrace Kioicho is a multi-use urban complex that combines a hotel, offices, residences, gardens and restaurants. 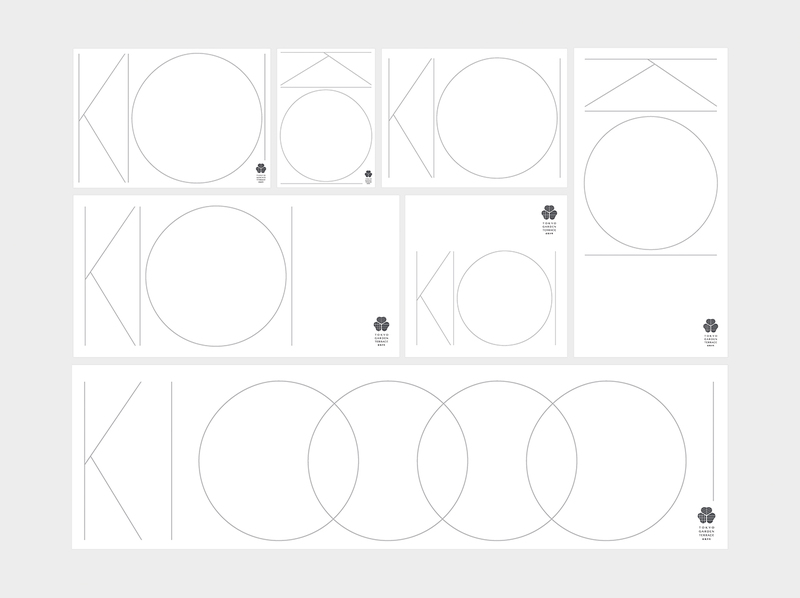 We were asked to create a visual identity that would embrace Kioicho neighborhood’s unique personality. We built a concept based on the notion of ‘bold elegance’, conveying the will to bring modernity in a historic and classical area. 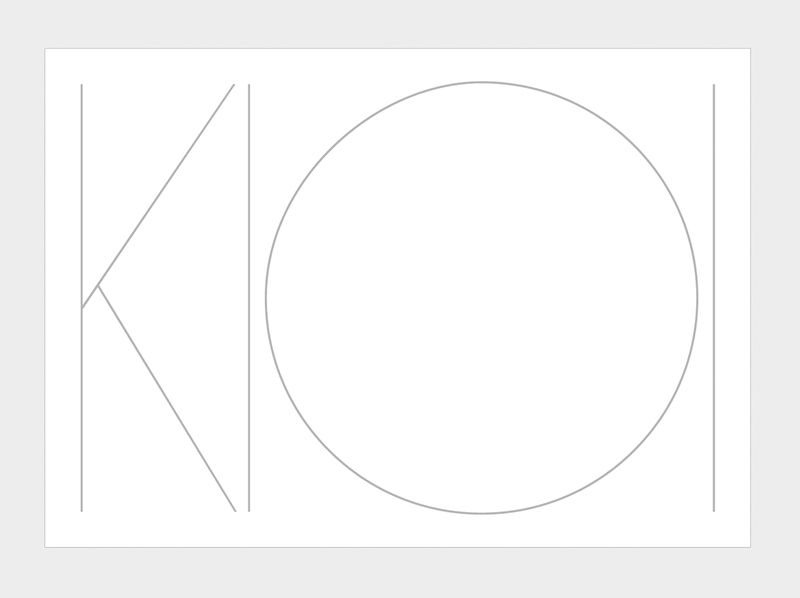 Our visual system anchored the name ‘Kioi’ as the hero motif, subtly yet vividly displayed in a thin and extra-large typeface. 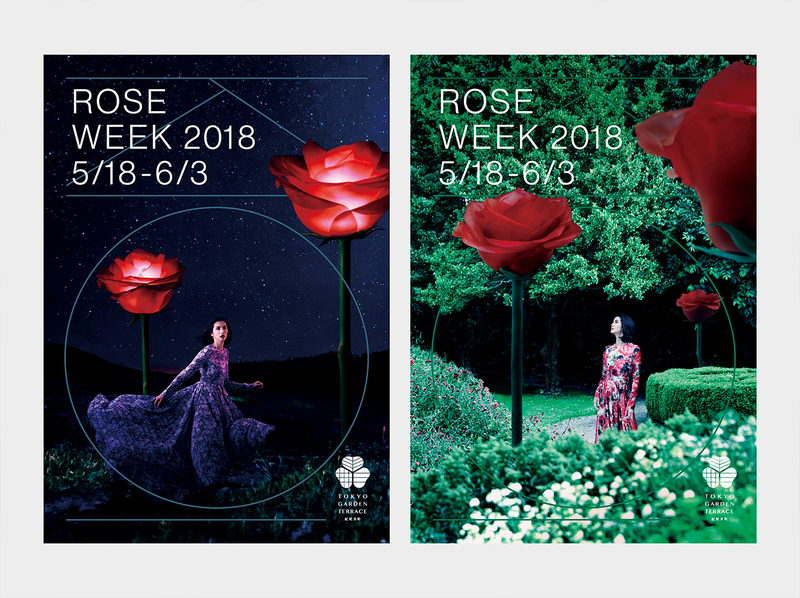 The new identity was launched in May 2018 at the annual Tokyo Garden Terrace Kioicho ‘Rose Week’. To instill the essence of bold elegance into this annual celebration, we crafted a surreal, dreamy atmosphere with three-meters-high rose sculptures spread in the gardens, indulging guests’ imaginations. 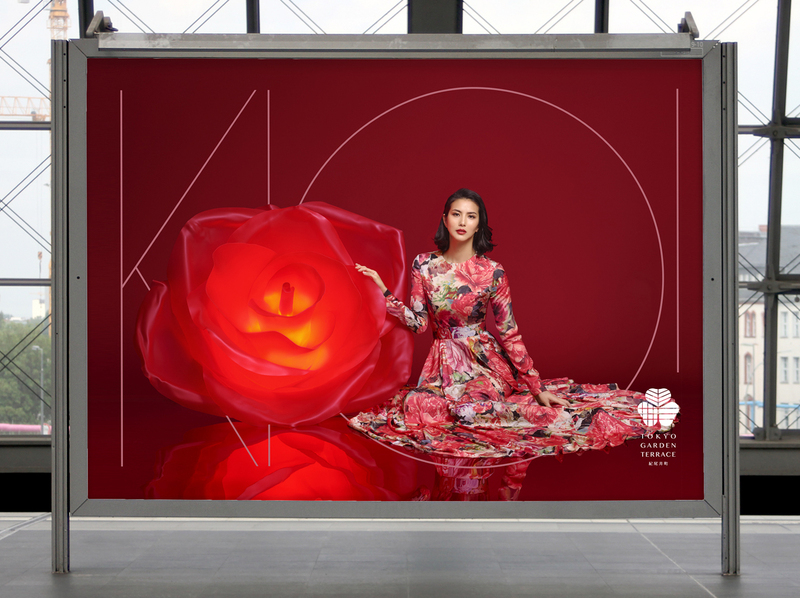 Graphic format using 4 letters "KIOI"
Variation of graphic format "KIOI "